Along with offering a wide variety of products and services for your business, Card Processing Systems has relationships with various equipment distributors enabling us to provide special equipment to satisfy the needs of merchants with special requests. 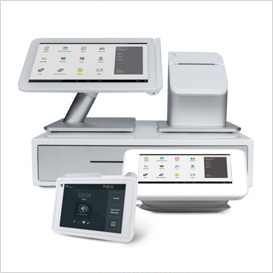 Clover Station 2018 is a countertop all-in-one Point-of-Sale (POS) system that swivels from merchant-facing to customer-facing mode for a seamless user experience. Your Station comes with the Classic Plan with more than 20 pre-installed apps to make tasks such as managing your inventory, taxes, orders, and tables a snap. The most advanced protection comes with Station such a fingerprint login and built-in encryptions for secure swipe, chip, and contactless payments. 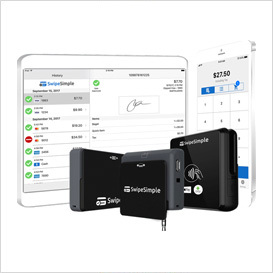 With the Increasing demand for smartphone Processing equipment, Card Processing Systems Offers encrypted mobile card readers that accept NFC contactless payment, EMV chip cards and Magnetic stripe. Pair with Smartphones and tablets via the audio jack or Bluetooth Low Energy. Authorize.Net is a Payment service provider allowing merchants to accept credit card and electronic checks payments through their Website an IP connection. Authorize.Net is trusted by more than 430,000 merchants, handling more than 1 billion transactions and $149 billion in payments every year making them the largest Payment Gateway service provider. 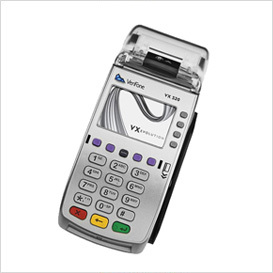 The VX520 utilizes the latest, most reliable advances in security to give small businesses invaluable peace of mind. It features optional broadband connectivity for lightning-fast transactions. Its efficient processing and high-speed thermal printer keep checkout lines on the move. Multi-tasking memory supports bank cards and value-added applications like loyalty or gift cards.